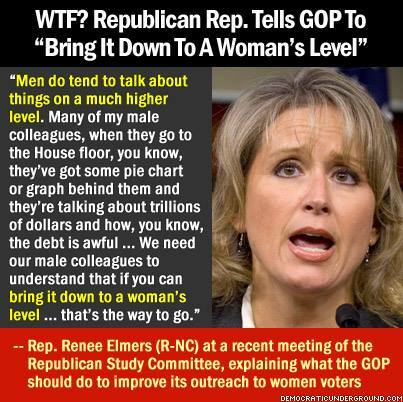 “Bring it down to a woman’s level”?! Really?! | Name-Brand Ketchup. “Bring it down to a woman’s level”?! Really?! Q: How many Republican women does it take to change a light bulb? A: None. They have to wait for a Republican man to bring it down to their level.